OMG, that's hilarious! I wonder if crochet hooks are allowed? I saw something equally bizarre about the length of string that people were and weren't allowed to bring to the Republican Convention. What's next... your fingernails are too long? You know... I used to get called for jury duty ALL THE TIME! It really seemed like I got called twice as much as anybody else I knew. Well... last time I got a summons it had only been a few months since I had last served, so I called to complain. And, as it turned out, my first name had been misspelled on my driver's license. I actually knew about the error, but it had been that way for well over 10 years. However, my name was spelled correctly on my voter registration, so the computer saw me as two separate people living at the same address, and sent each one separate summonses. So I really WAS getting called twice as often as anybody else! Anyhow, I got the spelling error corrected and haven't been called for jury duty since! How crazy is that. I've been called up for jury duty in a couple of weeks, and it never occurred to me that I may not be able to take my knitting. I'll have to check if the rules are the same in Australia. On the same theme, I flew from Sydney to Melbourne to visit friends, and wasn't allowed to take do my cross-stitch on the plane, because of the needle. Seriously! How much damage can you do with a tapestry needle? Ooh, I'm curious to know if the rules are the same. Too bad about your cross-stitch, too. We crafters are a dangerous lot, I tell you! I have heard about old ladies knitting with sharpened pencils on planes these days, maybe you could do that in court too! Oh, that would make me so mad! 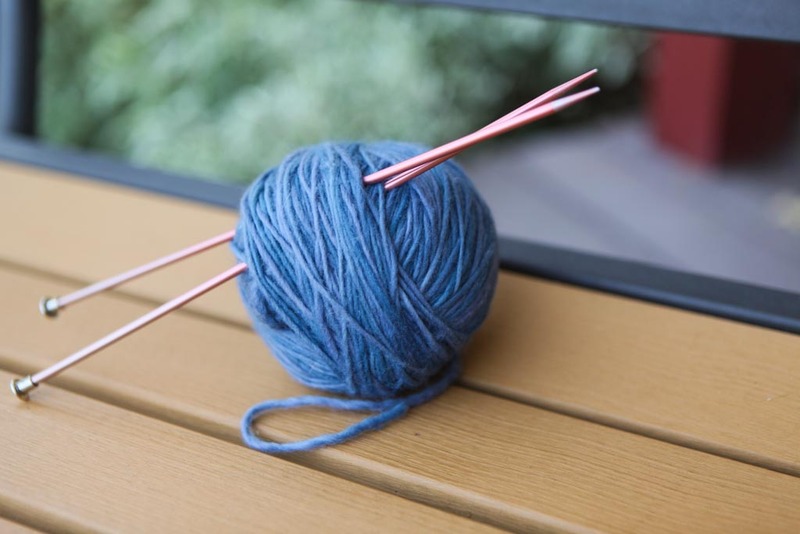 Think of how much knitting time you could get in, those endless hours. And they allow knitting needles on planes now - are court rooms held to a higher standard of security? My mom used to get called about 4 times as much as my dad and me. The joys of living in a small county! Last time I got called the defendant didn't show up. Crazy. That really is just so sad...but you did give me a laugh as i tried to envisage a jury box full of mad knitters!! Hope you get through it ok....hehe! Oh my too funny! I am definitely more scared of lawyers and my dad was a cop too. Oh, goodness how ridiculous! It would have been a perfect opportunity, too--to be relaxed and productive while stuck in a courtroom! Oh my how you make me laugh!!! And yes, that is crazy...no knitting needles?! What is next?! I wonder, if you knit with chopsticks, if they would be considered a dangerous weapon as well? Thank goodness someone created laws to keep us safe from knitters. Such a dangerous lot they are. Wonderful post. I was not allowed to bring my wooden needles into the courthouse in Queensland, Australia. It seems sock knitting is dangerous. Due to domestic violence and a messed up divorce I have spend way too much time waiting outside court with my ex glaring at me! So sorry to hear that, Suze :( The irony of it, though, geez. I'm sure that is even more deadly! ridiculous. in nj there is no more smiling allowed in driver's licenses (face recognition big brother crap). Apparently you're not allowed to take knitting needles into the cabin with you when you fly either. They are allowed in your lugguage in the hold but not in the cabin with you. I guess next time I fly I'll just stare down the aisle for two hourse shall I? Too funny! I should think they would be more concerned with 4 inch high heels, but no, they chose to ban knitting. Maybe they are worried something will get done in the courtroom... Popped over from "Down to Earth." Happy Friday. So, apparently there really is no such thing as common sense any more... sigh. Love your post! Came over from "Down to Earth" too. That is so funny..it's the sort of daft thing they would do in this country too. Well I'd be in trouble big time as I knitted all the way into Melbourne on the way to the craft show this year,what a hoot next they'll be telling us we can't do any type of craft while waiting endless mind numbing hours for things to happen :) Barb. P.s: forgot to say I was travelling by train while doing said knitting :) Barb. Perhaps the thought of it was just a little too 'Antoinette'. Let them eat cake, but no knitting around the guillotine. I figure knitting needles are actually less dangerous than a sharp pencil. If somebody stabbed me with a sharp pencil, it would pierce the skin and likely embed the lead in me. If someone stabbed me with a knitting needle, it might leave a bit of a scratch, but more likely wouldn't even break the skin. At most it would leave a bruise. Hahahhaha! HOw funny is that. The way you describe it. AND NO magazines either! I was in court with someone else and brought my Taproot magazines to read while waiting. A nice female officer came over to me and told me if I wanted to read my magazine, I would have to go outside to do so. As the whole courtroom was so noisy with people talking I had to ask her to repeat what she just said because I wasn't sure what she said. I couldn't hear her. I think they need to pass out magazines as people enter a courtroom, so they will shut up!